Diary Uganda (Kampala) Plans from here: We are heading east back to Kenya to Nairobbery again,. From there we intend to cross Tanzania as quickly as possible to get to Malawi in two weeks from now. I’d just like to say that I have nothing against Tanzania personally although Burton and Speke both hated Zanzibar with a passion. It is more about money than anything else as the National Parks in Tanzania are some of the most expensive on the planet and I’m not really into climbing Mount Kilimanjaro which only ended up in Tanzania anyway because Queen Victoria expressed a wish that both Kenya and Tanzania should have a “high mountain” each! 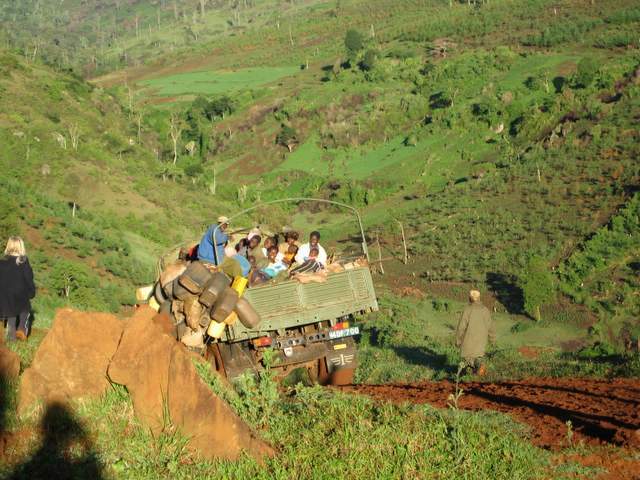 PIC SHOWS: ROAD TO SIPI FALLS.